Kolkata: The ghosts of chit-fund scams that wiped out the deposits of lakhs of people in Bengal, Odisha and, the northeast, have come back to haunt state’s ruling party Trinamool in the Lok Sabha poll season. The Calcutta High Court on Thursday 7 February picked up for hearing a case pertaining to the Saradha chit-fund scam, in which several Trinamool leaders are accused. The last hearing in the case was held in 2015. 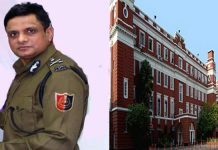 This comes even as the CBI is set to question Kolkata Police commissioner Rajeev Kumar in the Saradha scam for allegedly interfering with the investigation and tampering with the evidence. In the immediate aftermath of the scam coming to light in 2013, Chief Minister Mamata Banerjee had set up a one-man commission under justice (retd) Shyamal Sen and had allocated it Rs 500-crore to give refunds to the people who had lost their deposits in the scam. The state government winded up the Sen Commission in 2015. Hearing the case in the High Court today, justice Joymalya Bagchi has asked the state government as to what will happen to the remainder of the money which the state had allocated to the Sen Commission. Justice Bagchi has also asked the state to disclose the identity of the people who got refunds from Sen Commission and the process that was followed to select them from amongst several lakhs of duped people. The state government has been asked to furnish a reply in the form of an affidavit in seven days. The directive came after the state’s counsel told the court by furnishing an affidavit that in all Rs 251-crore has been refunded and another Rs 2.39-crore is lying with a nationalised bank as the ones to whose credit cheques were drawn did not encash them. 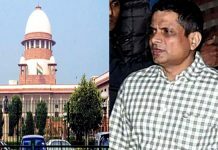 This apart, the state has handed over Rs 287-crore to justice (retd) SP Talukdar Commission formed by an order of the HC in 2015 for disbursement of refunds to people duped by various chit-funds in Bengal.